Are you struggling to build your network marketing business online? Most people who want to create massive growth in their MLM business, follow a blueprint for success. Why do you need a blueprint? A blueprint is just a systematic way of doing things so you can get leads and convert them to customers and distributors. Most network marketers limit their conversations to their warm market, like family and friends. But what happens when you run out? That’s where a blueprint and five critical tools come in to help you grow your business online. You can still use traditional network marketing methods, but they don’t have the same effect as they did a few years ago. I use these tools to get thousands of customers for my MLM business and leads daily. They really work to help leverage the Internet through attraction marketing and automation. 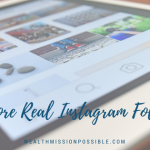 Let’s dig into the 5 tools you need to build your MLM online. 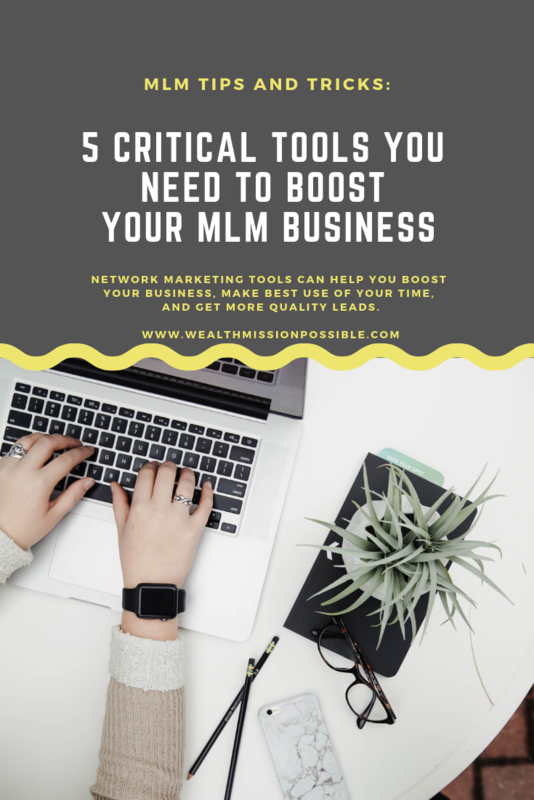 Using the right network marketing tools can help you boost your business, make the best use of your time, and get more quality leads. An email autoresponder helps you to nurture relationships with people who subscribe to your list. 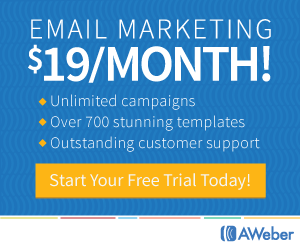 AWeber is a top email marketing company that provides with you with tools to gain subscribers and grow your email list. You may wonder why you need an email autoresponder like AWeber to build your MLM business, especially if you have a social media following. Social media followers are not an asset and you don’t really have a direct line to those people. The social media network is the owner of those users, not you. When you grow your email list, it’s an asset that you own. You can then continue your relationship with these people through automated emails that are delivered directly to your subscribers. Email marketing is how you can capture your visitors information to convert them from reader to subscriber. AWeber has many cool but simple to use features to create automation. Even if you are beginner, you can make it work! I’ve used AWeber for many years with great success. Most people grab this free 30-day trial, knowing that there is no risk! 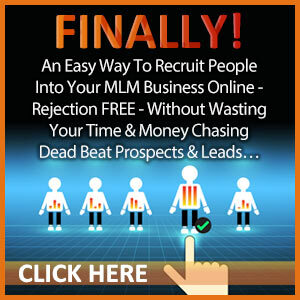 Gaining MLM customers and new reps is huge plus when growing your MLM business. 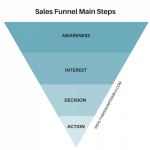 Most successful network marketing use a sales funnel, which is moves people through an automated process to convert them from browsers into buyers or distributors. That’s why I love ClickFunnels! This web-based software platform is designed to create sales funnels in the most simple way possible. If you have anything to sell online, whether it be MLM products, an opportunity presentation or something else, Click Funnels powerful suite of tools are the best! Remember we talked about nurturing subscribers? Well, ClickFunnels is another way to automate that process after taking people through the sales funnel. What most people do is get started with this 14-day FREE trial to see if it’s a good fit for them. Who would have thought you can grow your MLM business with Facebook Messenger? The good news? You can! You are likely already familiar with Facebook messenger, but let’s recap. Facebook Messenger is a standalone app to communicate with other people within the Facebook network. Communicating with Messenger can be manual or automated (yep, you heard that right!) Every month, over 2 Billion messages are sent. You can use Facebook Messenger to communicate and interact with your MLM prospects. Every message can be tailored in interactions like people who want to learn about your MLM products or opportunity. It’s a real time-saver and one of the best network marketing tools to grow your business online. 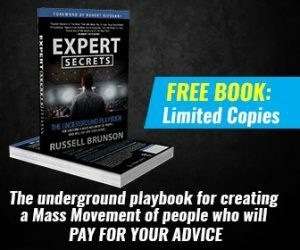 What most people do is download this FREE step-by-step tutorial to learn how to build their MLM business using Messenger. Having a WordPress blog is definitely a must for your network marketing business tools! 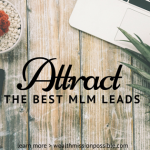 I started my WordPress blog a few years ago and that’s exactly how I gained over 11,000 customers for my MLM business and thousands of leads for my subscriber list. I started my blog before blogging became popular and people laughed at me. Well, who is laughing now? A WordPress blog is one the top ways to generate leads and sales for your MLM business. Here’s a well-known secret: People join people! Most people are looking for a person they can Most people are not looking for a company to join, they are looking for a person they can identify with and trust. Through blogging you can develop your online brand. Here’s my top web hosting recommendation for starting a WordPress blog. Here’s the thing about YouTube: it’s FREE! So why aren’t you taking advantage of the number two search engine in the world? I still get customers, signups and leads from blog posts and videos I created years ago. Sometimes I have to pinch myself! YouTube is chance for you to put yourself out there and let people know what you are about and what you have to offer. People search videos day and night for information that may help them in some way. YOU have that information! Just get it on video! I recommend this free training on how to create videos that make sales for your business. 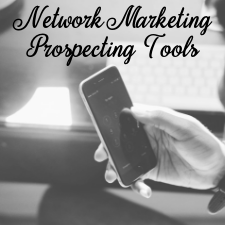 Today I shared 5 top prospecting tools to help you grow your network marketing business online. Take time to explore AWeber, ClickFunnels, Facebook Messenger, WordPress Blogging and YouTube! You don’t have to start these all at once. Take it one at a time and see how they fit into your MLM business model.